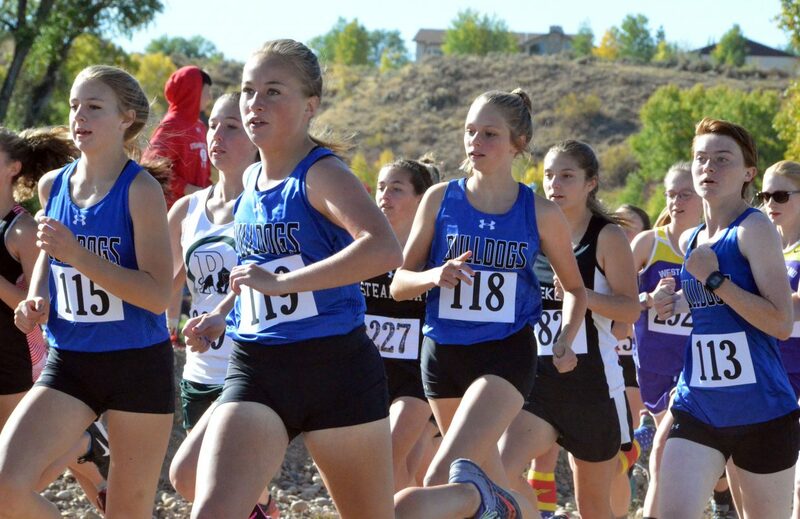 Moffat County High School girls cross country seeks to stay in front at the start of Saturday's MCHS Invitational. Craig Middle School's Sarah Johnson puts on an extra burst of speed during Saturday's MCHS Invitational. 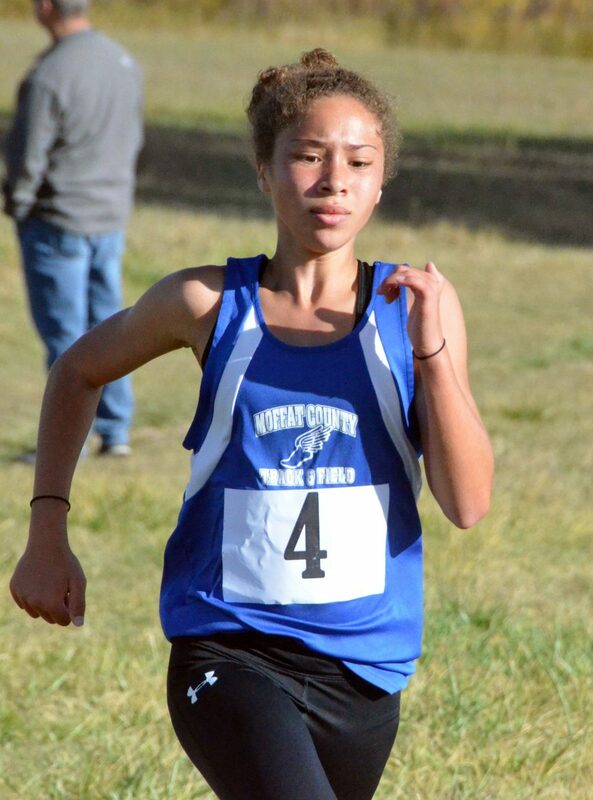 Moffat County High School's Liberty Hippely takes one last incline during Saturday's MCHS Invitational. 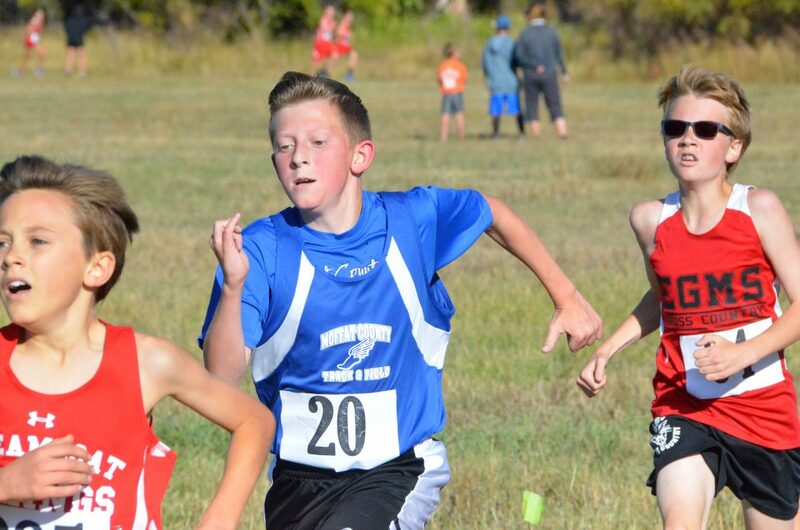 Craig Middle School's Owen Gifford heads into the final stretch during Saturday's MCHS Invitational. 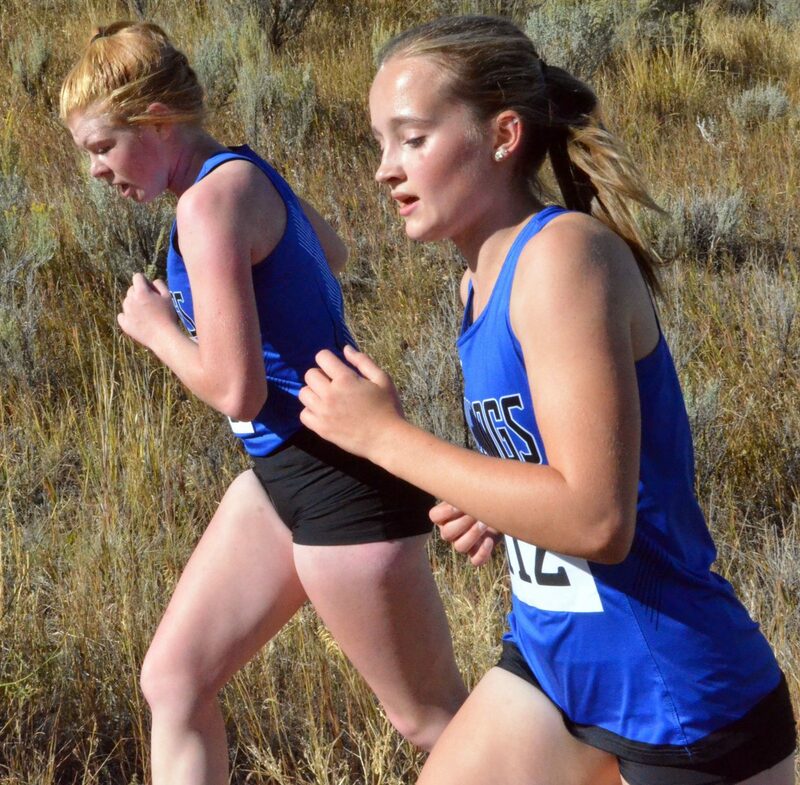 Moffat County High School's Fiona Connor and Raine Harrell stick close together during Saturday's MCHS Invitational. 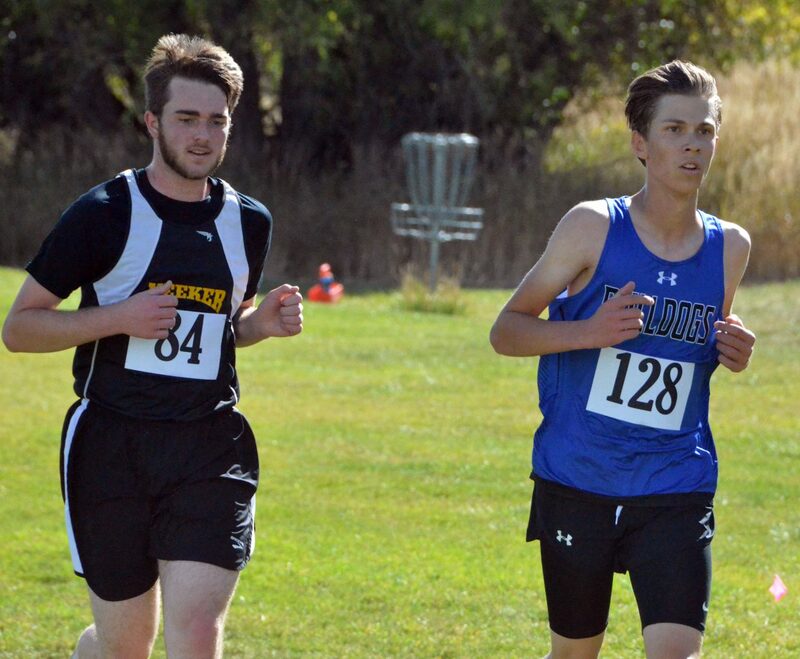 Moffat County High School's Wyatt Mortneson, left, and Chris Carrouth head onto the course during Saturday's MCHS Invitational. Craig Middle School's Forrest Siminoe nears the last bit of the race during Saturday's MCHS Invitational. 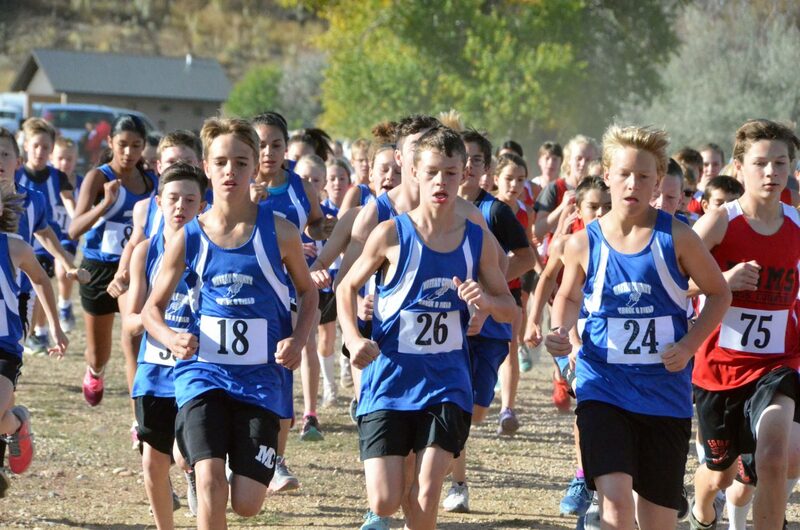 Craig Middle School boys work to stay in front during Saturday's MCHS Invitational. 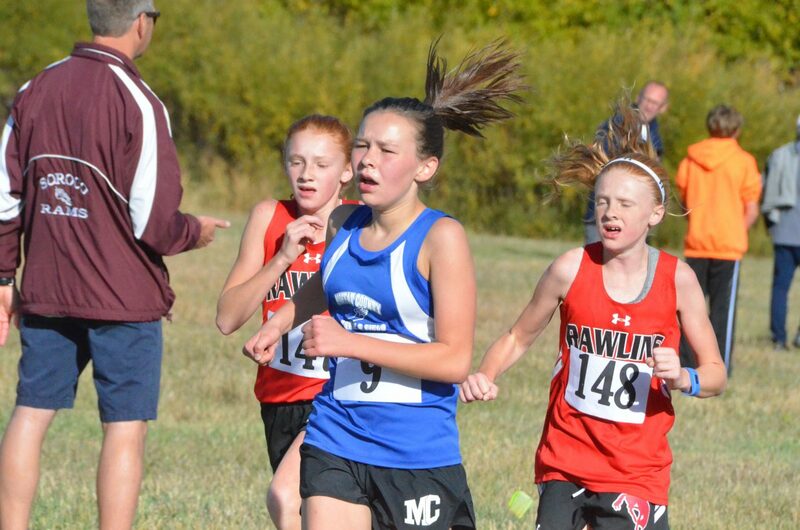 Craig Middle School's Megan Neton stays ahead of Rawlins, Wyoming, competition during Saturday's MCHS Invitational. 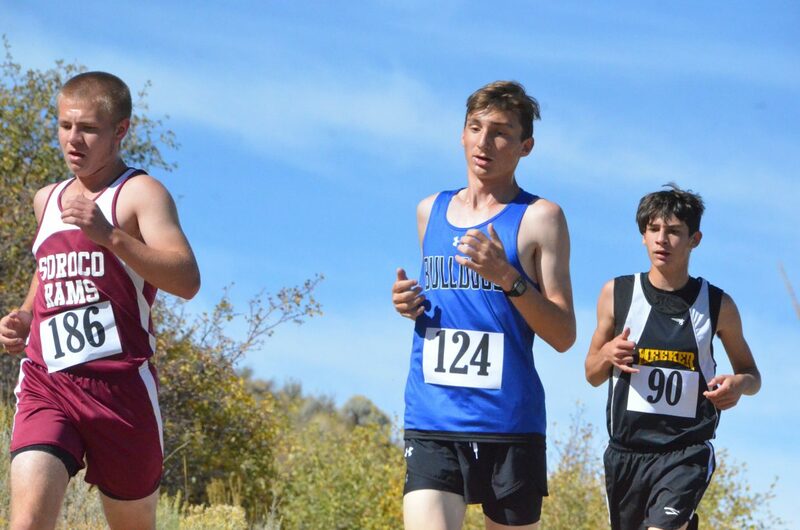 Moffat County High School's Wilson Eike comes off the Loudy-Simpson hill and stays close with Meeker competition in Saturday's MCHS Invitational. 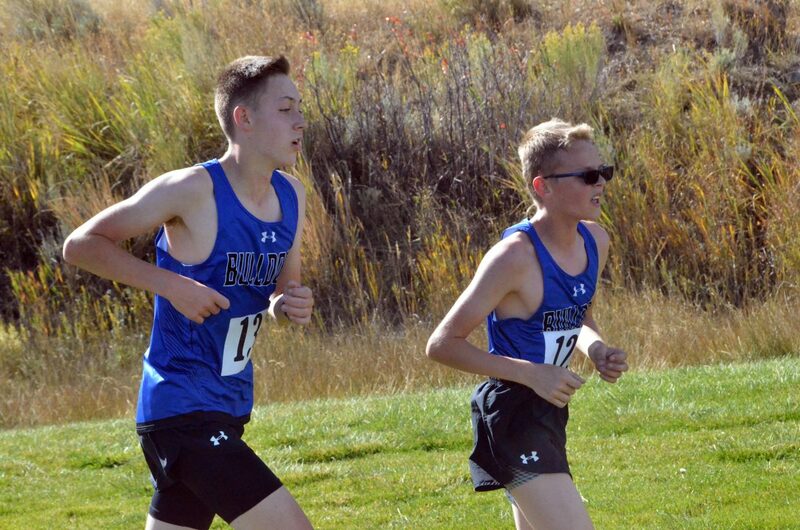 Moffat County High School's Alex Nichols, left, and Carter Behrman stay the course during Saturday's MCHS Invitational. Moffat County High School's Chase Lorio sneaks past the West Grand competition at the finish line during Saturday's MCHS Invitational. 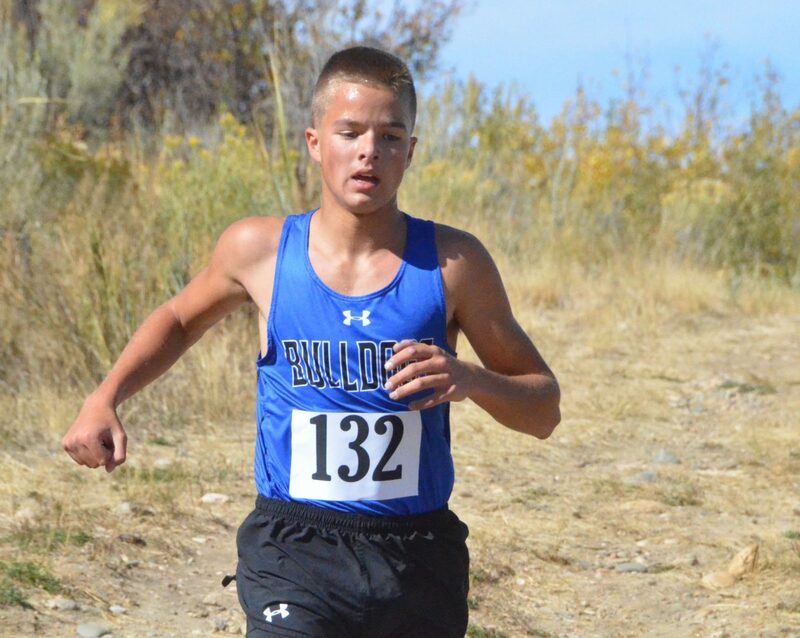 Moffat County High School's Wyatt Mortenson holds a wide lead during Saturday's MCHS Invitational. Craig Middle School cross country runners get warmed up before Saturday's MCHS Invitational. From left, Craig Middle School runners Mason Lorio, Zach Craig and Hannah Kilpatrick approach the chute during Saturday's MCHS Invitational. 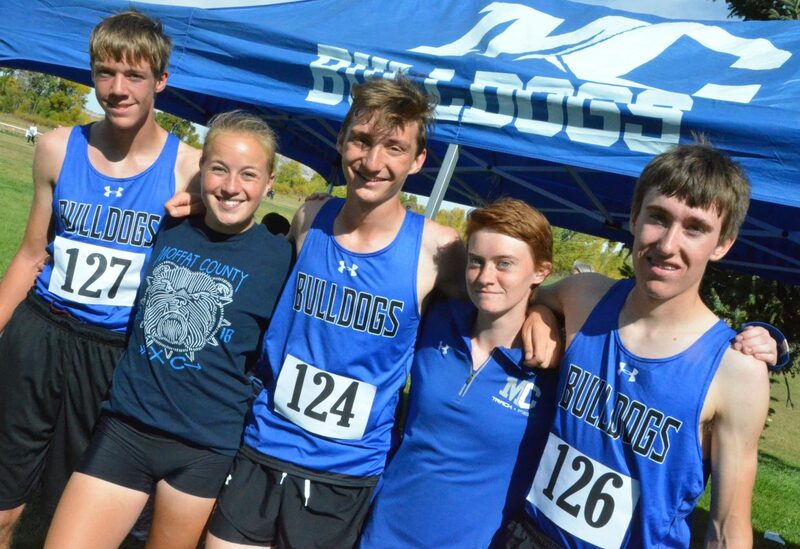 From left, Moffat County High School cross country's seniors gather following Sept. 29's MCHS Invitational. 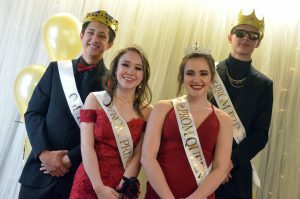 From left, Theo Corrello, Makenna Knez, Aj Barber, Lydia Berkoff and Chris Carrouth. Corrello, Knez and Carrouth are from Hayden and run for the Bulldogs. 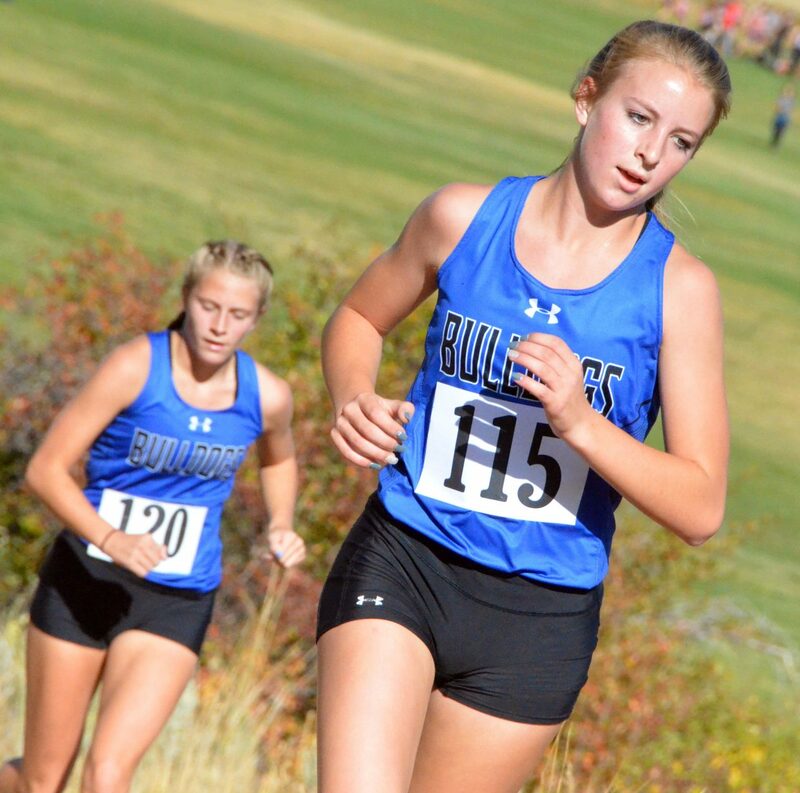 Moffat County High School's Halle Hamilton, foreground, and Kelsey McDiffett work with an incline during Saturday's MCHS Invitational. 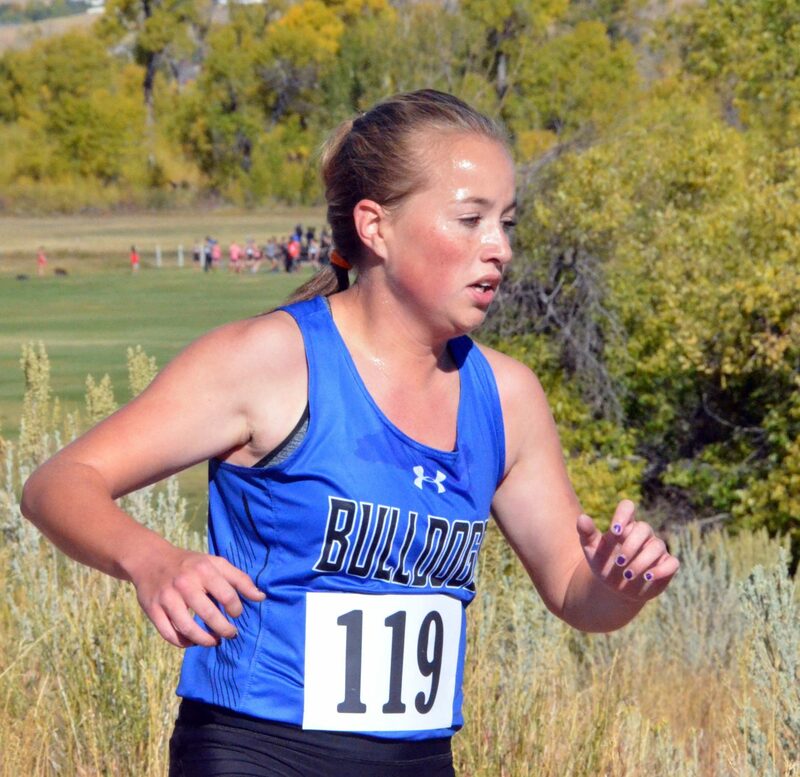 Moffat County High School's Kelsey McDiffett runs along the high terrain of the Loudy-Simpson hill during Saturday's MCHS Invitational. 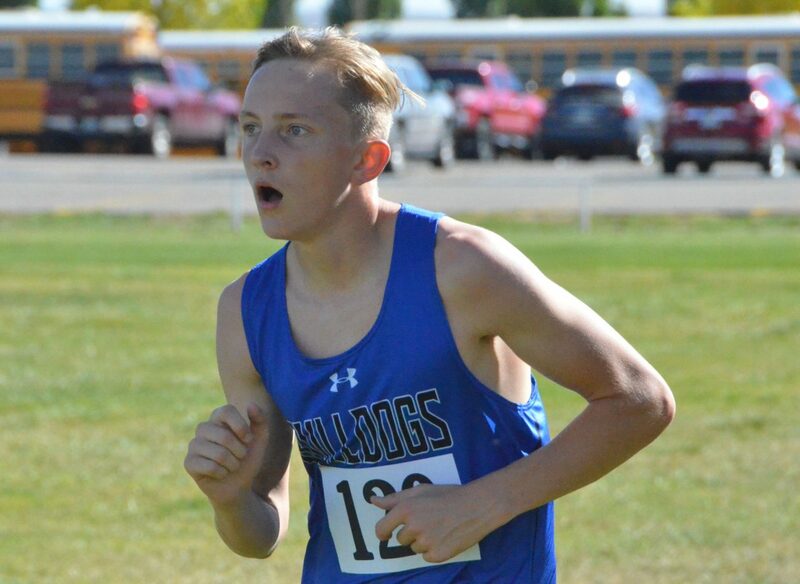 Moffat County High School's Logan Hafey runs during Saturday's MCHS Invitational. 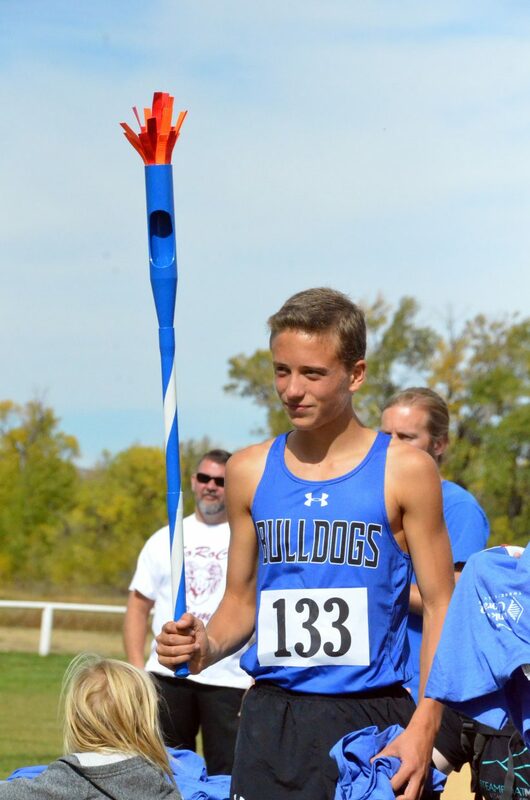 Moffat County High School's Wyatt Mortenson holds high MCHS cross country's celebratory scepter as the winner of the boys race at Saturday's MCHS Invitational. 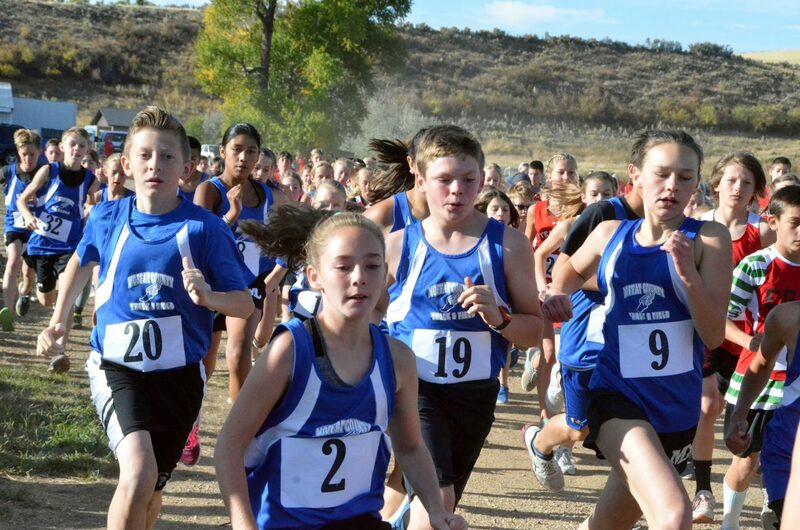 Craig Middle School cross country runners get into the mix during Saturday's MCHS Invitational. 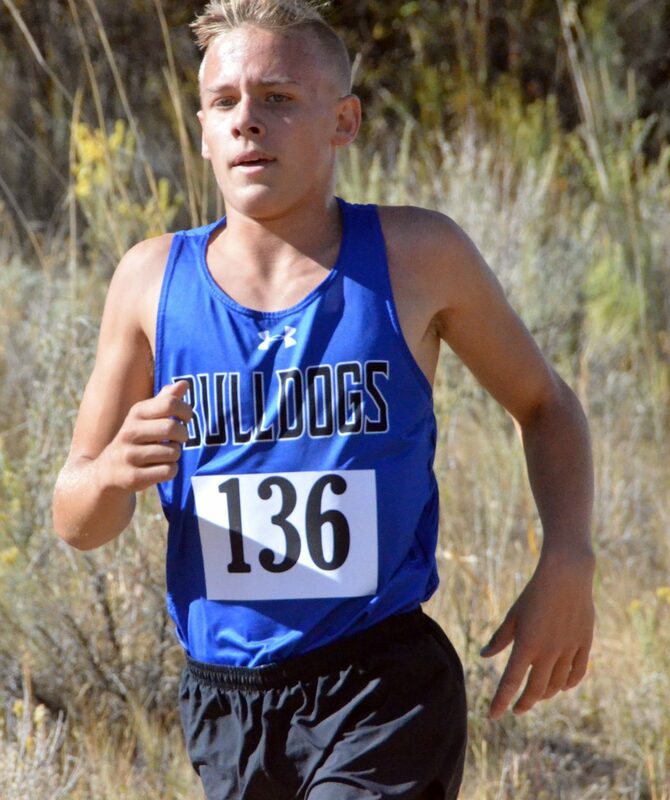 Moffat County High School's Chris Carrouth keeps a strong pace on the high ground during Saturday's MCHS Invitational. Moffat County High School's Keaton Knez heds downward on the trail during Saturday's MCHS Invitational. 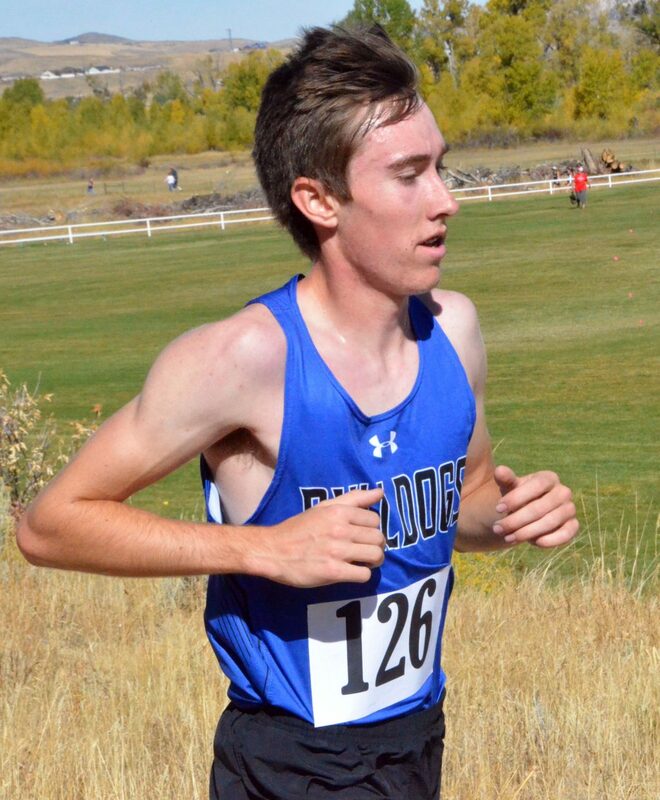 Moffat County High School's AJ Barber takes on Loudy-Simpson's hilly area during Saturday's MCHS Invitational. 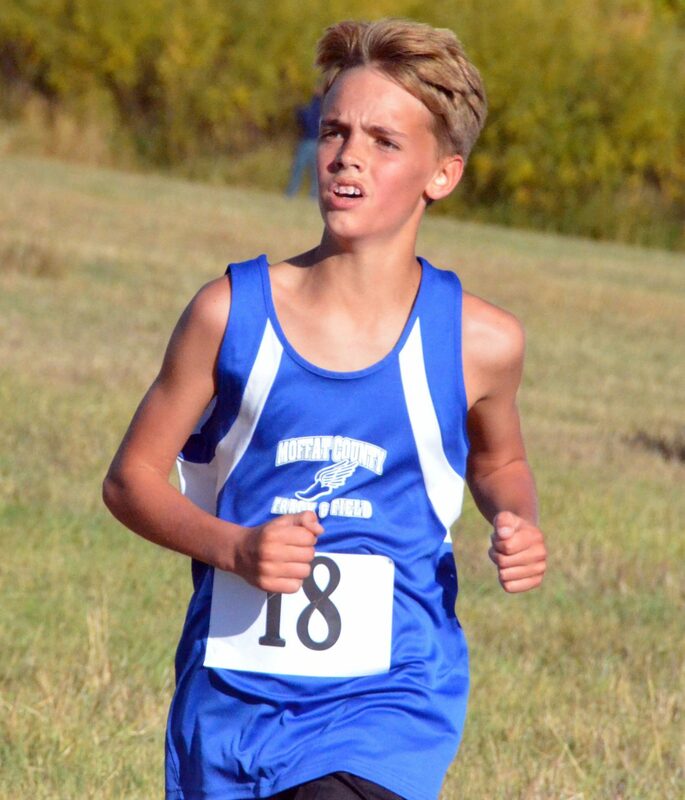 Craig Middle School's Carson Laehr seeks to pass as many runners as possible during Saturday's MCHS Invitational. 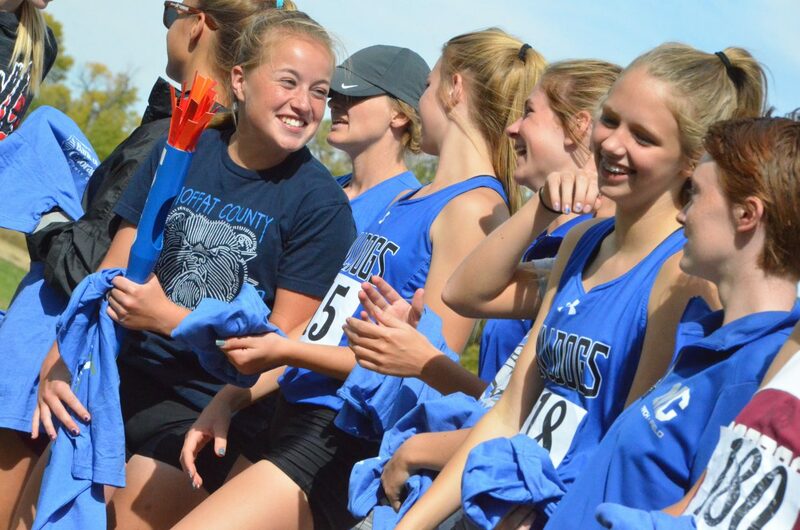 The Moffat County High School girls cross country team shares a laugh during the awards ceremony at Saturday's MCHS Invitational. 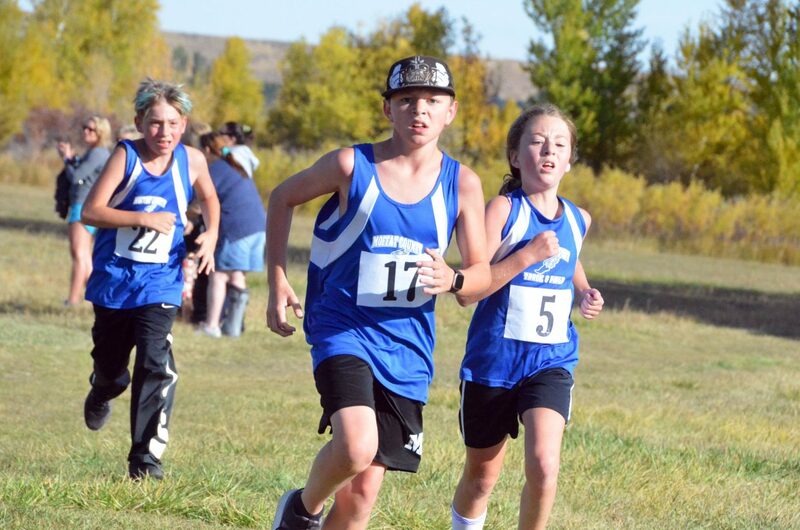 Moffat County boys and girls teams won the home meet. 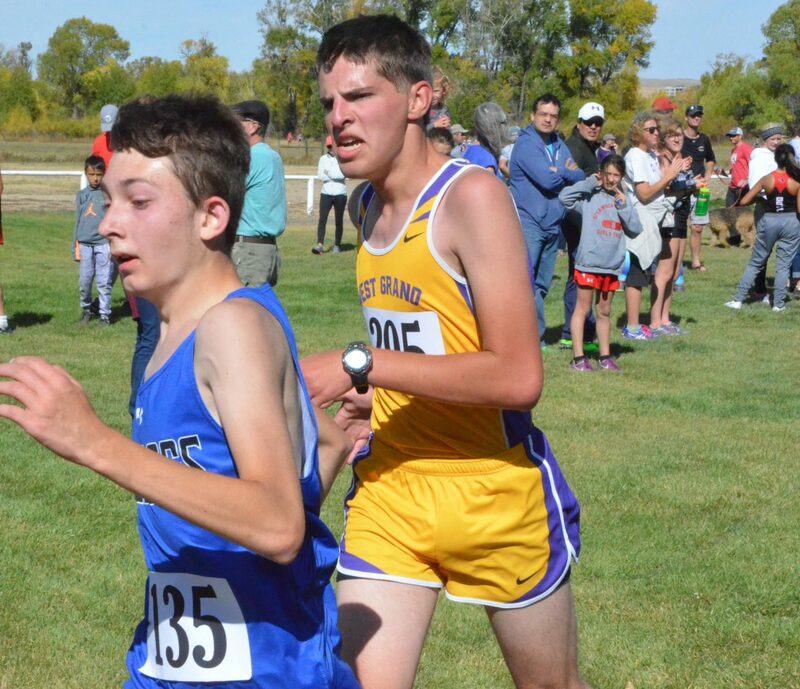 Moffat County High School's Coltyn Terry keeps moving during Saturday's MCHS Invitational. 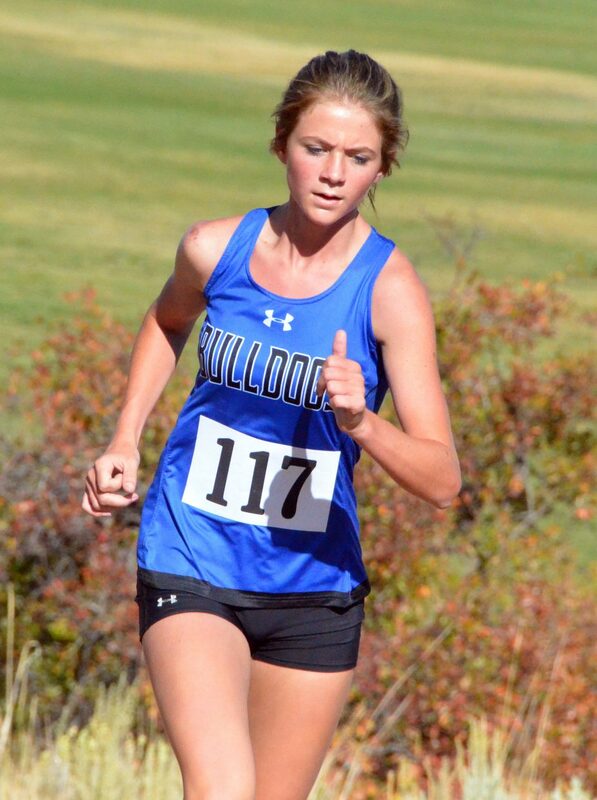 Moffat County High School's Mackenzi Telford comes up on the finish line during Saturday's MCHS Invitational. Moffat County High School's Allison Villard and competitors climb the Loudy-Simpson hill during Saturday's MCHS Invitational. 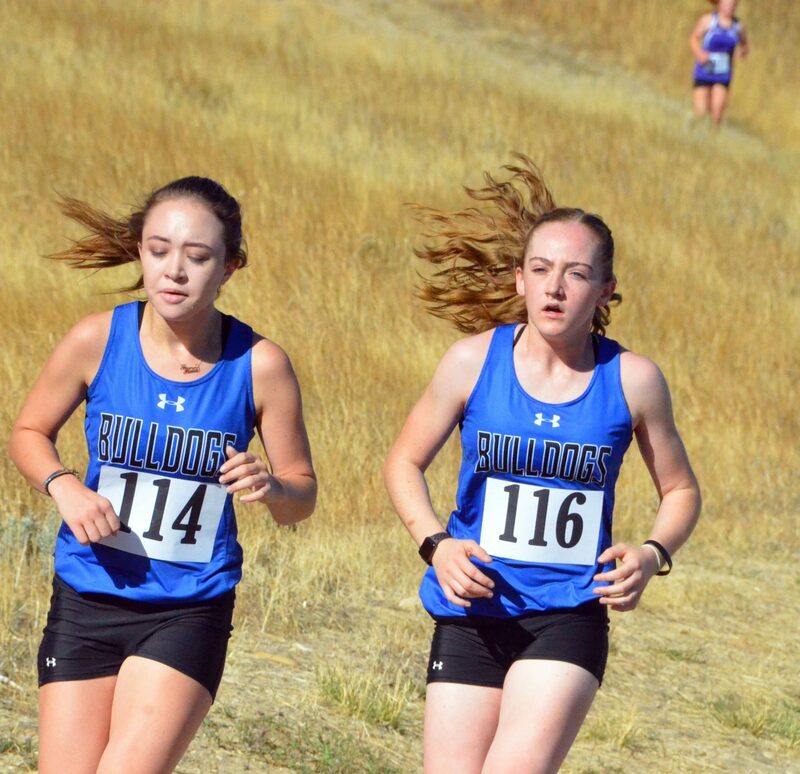 Moffat County High School's Bree Meats and Alayna Behrman push on during Saturday's MCHS Invitational. 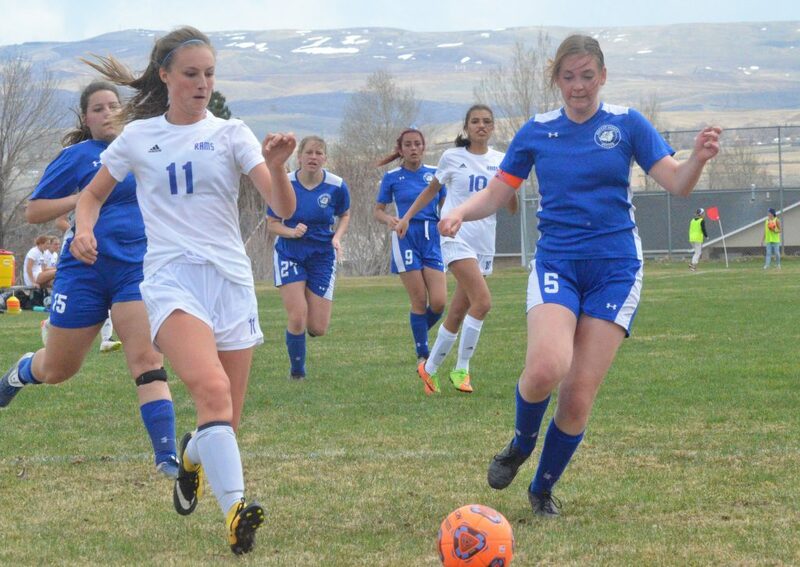 Moffat County High School's Makenna Knez heads back off Loudy-Simpson's hill during Saturday's MCHS Invitational. 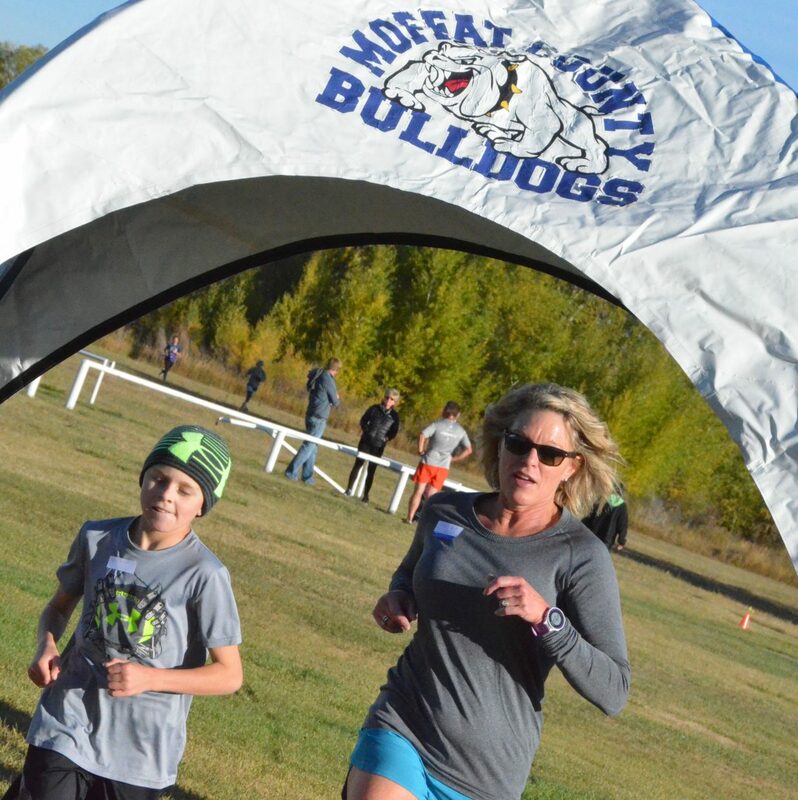 Runners cross the finish line during Saturday's Friends of Moffat County Education Leaf Cruncher 5K. 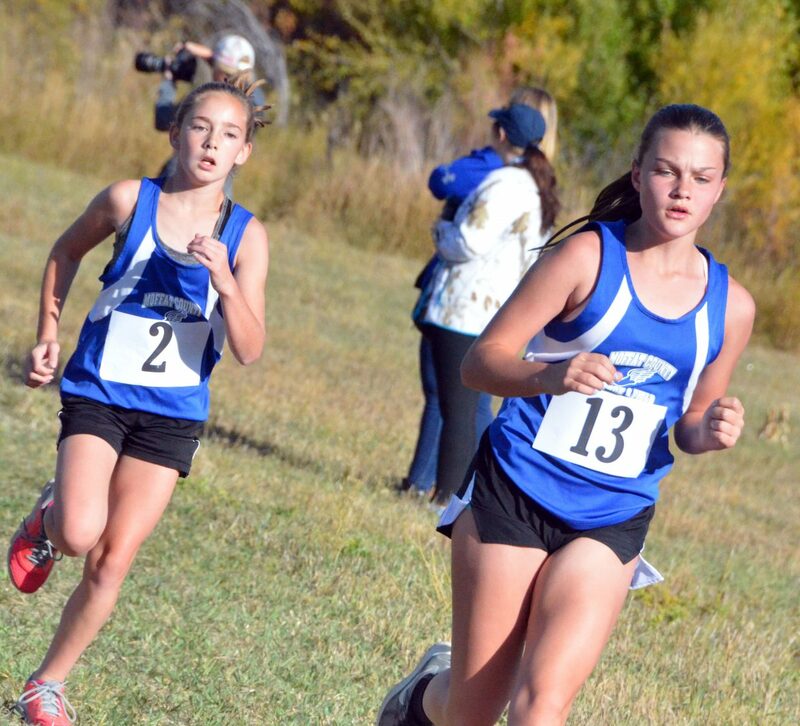 Craig Middle School runners Ariana Buchanan, left, and Brook Wheeler are almost to the finish line during Saturday's MCHS Invitational. 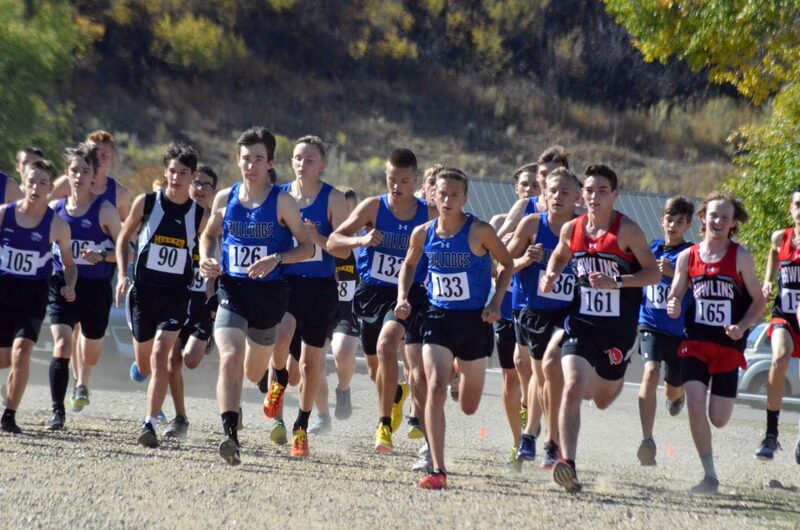 Moffat County High School boys cross country runners take off from the starting line during Saturday's MCHS Invitational. Wyatt Mortenson — 17:03.03; 1Chris Carrouth — 18:04.6; 2Keaton Knez — 18:44.64; 7Theo Corrello — 19:00.75; 8Coltyn Terry — 19:04.07; 9Logan Hafey — 19:24.85; 12AJ Barber — 20:28.27; 23Carter Behrman — 21:44.07; 37Wilson Eike — 21:49.3; 39Alex Nichols — 21:53.13; 40Kadin Hume — 23:21.24; 57Chase Serio — 25:08.1; 68GirlsMakenna Knez — 21:17.73; 3Halle Hamilton — 21:20.32; 4Liberty Hippely — 21:23.41; 5Kelsey McDiffett — 21:31.96; 6Emma Jones — 21:37.57; 7Lydia Berkoff — 21:50.57; 8Allison Villard — 22:41; 15Alayna Behrman — 23:32.8; 26Bree Meats — 23:32.84; 27Mackenzi Telford — 25:43.72; 42Fiona Connor — 26:37.74; 48Raine Harrell — 26:40.8; 49— Both varsity teams won the meet. Owen Gifford — 14:33.5; 4Boden Reidhead — 14:47.6; 5Grady Wooden — 14:54.5; 8Noah Mortenson — 15:02.2; 10Ian Trevenen — 15:20.8; 14Noah Beason — 16:02; 22Carson Laehr — 16:07.1; 24Logan Silva — 16:36.5; 30Hudson Jones — 17:11.5; 35Ethan Silva — 17:14.2; 36Santiago Quezada — 17:21; 39Xavriel Robles — 17:29; 42Forrest Siminoe — 17:55.7; 47Wyatt Tucker — 18:27.2; 52Roark Browning — 18:43; 53Garrett Mercer — 20:09; 62Travis LeFevre — 20:26.8; 63Zach Craig — 20:39.5; 65Mason Lorio — 20:46.7; 66GirlsMegan Neton — 17:06.6; 10Brook Wheeler — 18:56.7; 33Ariana Buchanan — 18:57.4; 34Mena Tucker — 19:15.8; 36Joslyn Bacon — 19:26.2; 33Sarah Johnson — 20:08.5; 46Kayden Grinolds — 20:33.6; 47Hannah Kilpatrick — 20:42.7; 48Brooklynn Kroese — 20:45.6; 49Alyssa LeWarne — 20:50.4; 50Nashaly Medina — 22:35.1; 52Alexis Noland — 23:21.5; 56Jazlin Quezada — 23:38.4; 57Lilliana Williams — 24:00; 58— CMS boys placed third, girls fifth. 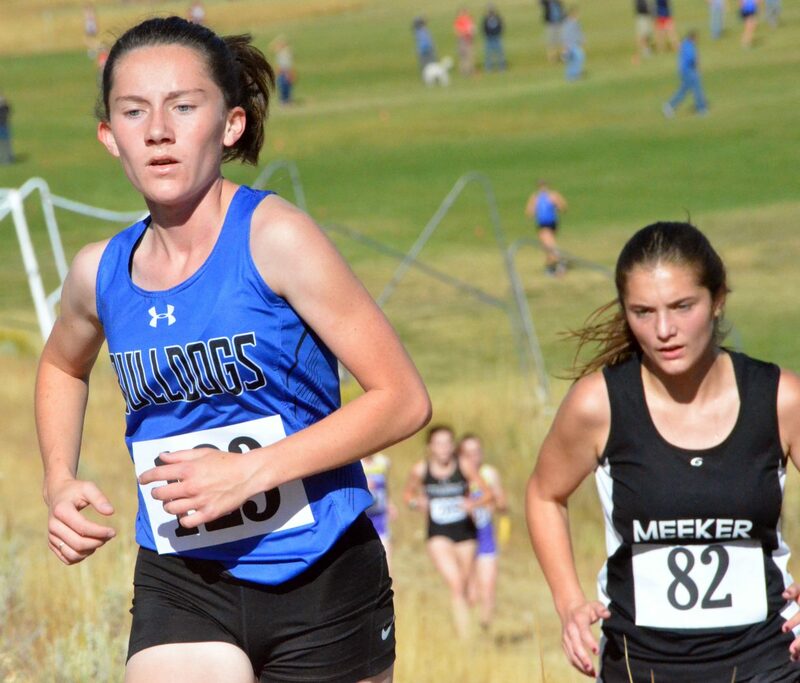 Moffat County High School cross country runners stood tall and placed at the top of the team rankings during Saturday’s MCHS Invitational at Loudy-Simpson Park. 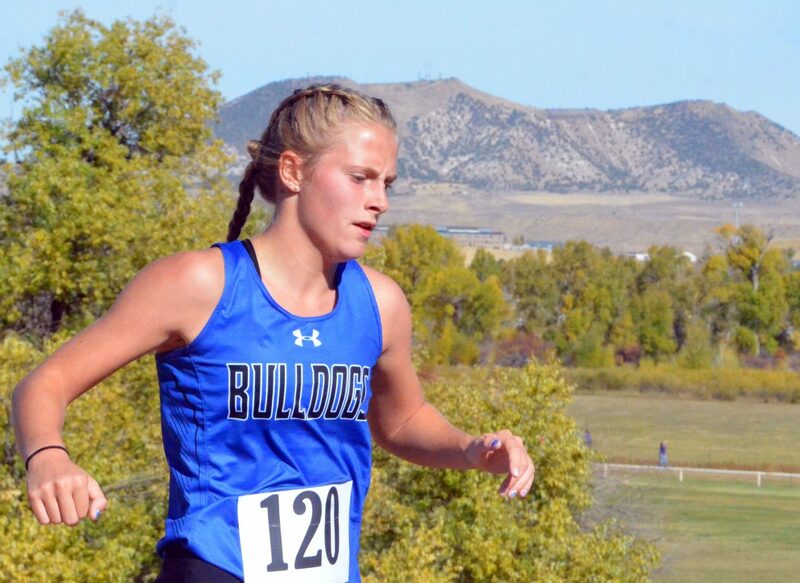 Bulldogs were the best of the bunch amid eight attending teams as boys and girls groups led the way with first-place finishes. 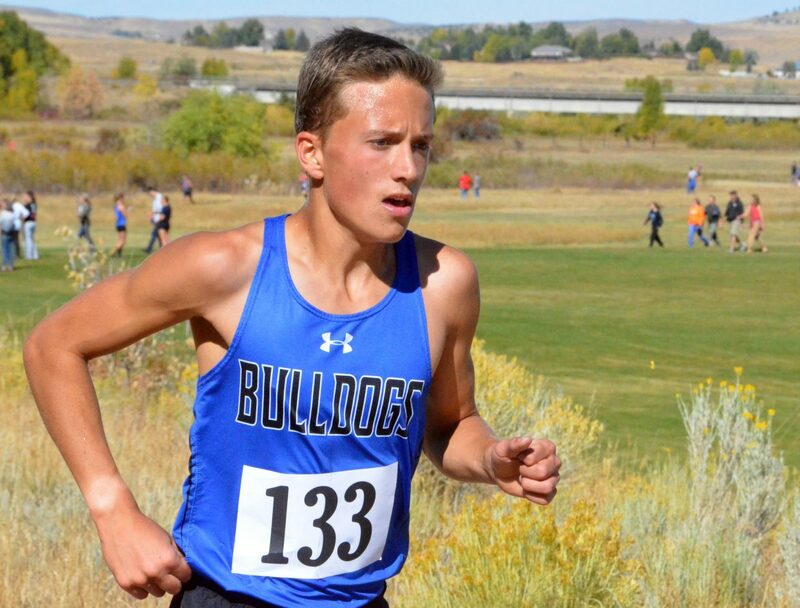 Hayden’s Wyatt Mortenson won the boys race with a time of 17:03.03, while Hayden’s Makenna Knez took the bronze in the girls segment at 21:17.73, behind only Rawlins, Wyoming powerhouse Sydney Thorvaldson and Soroco’s Chloe Veilleux. As has been custom, both lineups got all their points from finishes within the top 10 rankings as fellow Hayden harriers Chris Carrouth, Keaton Knez and Theo Corrello placed second, seventh and eighth, with Coltyn Terry ninth for a total 27 points. MCHS girls kept points even lower at 25 as Halle Hamilton, Liberty Hippely, Kelsey McDiffett, Emma Jones and Lydia Berkoff finishing one after another in spots four through eight. 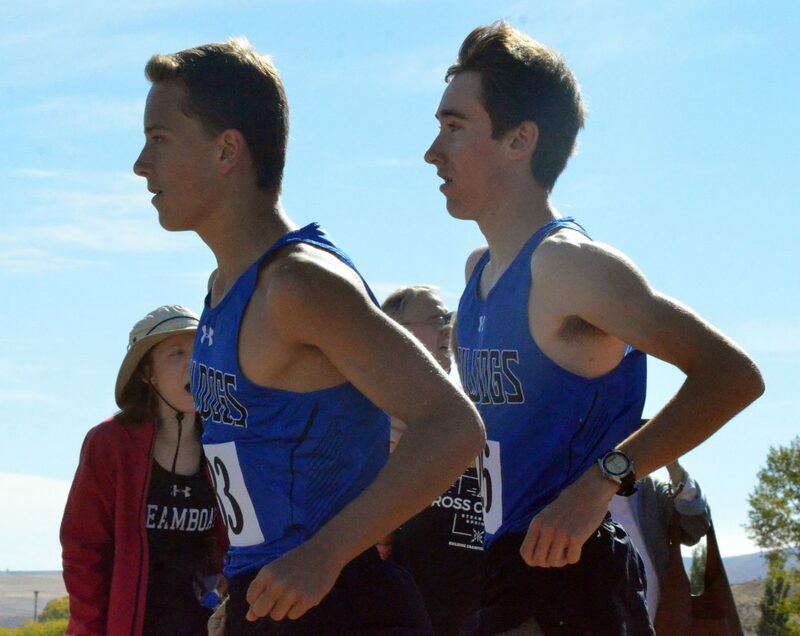 Coach Todd Trapp said the narrow finishes among teammates is a strategy that not only amounts to group wins — the second week in a row of both teams getting the gold — but simply makes for better running. 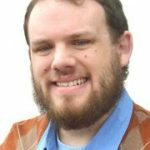 Trapp said the layout of Loudy-Simpson provides the challenge distance runners need midseason, with the loop along the park’s hill aiding in building endurance after several weeks of flatter courses. The coming week at Delta’s Confluence Park will be back to even footing as Trapp expects runners to start achieving personal records. “Today’s more of a strength course, but we still had kids with PR’s, so that’s exciting knowing we can still run that much faster on Friday,” he said. 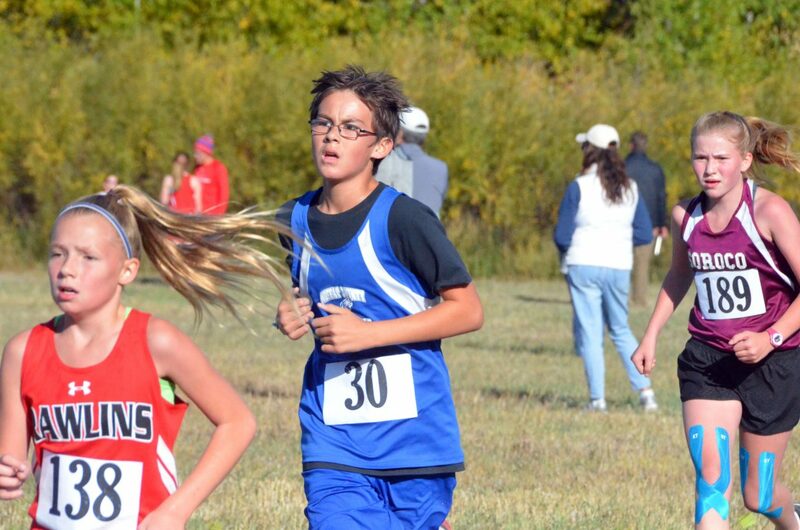 Craig Middle School’s XC teams also hit the trails as Owen Gifford led the boys with fourth individually — the group taking third — and Megan Neton took 10th for the fifth-place girls. The middle school race amounted to roughly 2.25 miles around the park with no hill. Though they would have liked to take on the test, CMS runners Ariana Buchanan and Mina Tucker said there were enough challenges in the race as it was. “Probably the hardest part was just getting past people,” Tucker said, noting that many of the front runners knew how to stay ahead of everybody and keep the lead based on positioning. 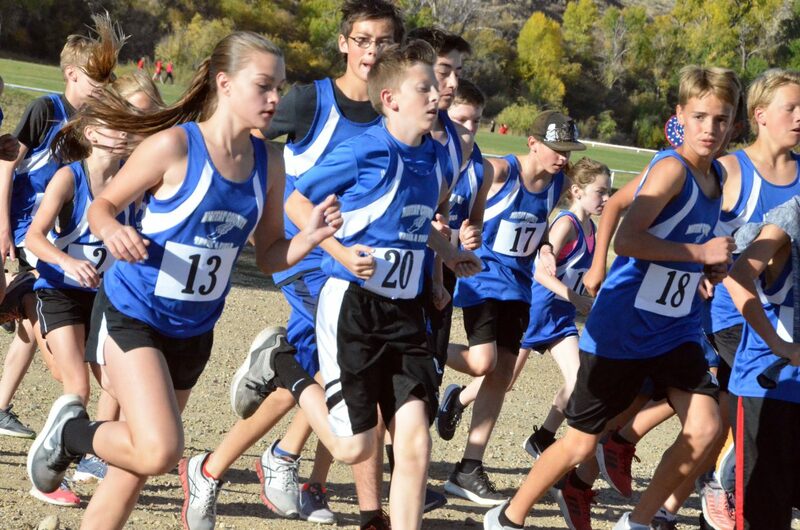 The CMS team is a mix of grades six through eight, and coach Chad Backsen sees third-year runners guide those in their second season, as well as those passing on their knowledge to the rookies. Among those lessons is the value of not winning. CMS boys have placed second several times this season and were even with Steamboat Springs for the silver as a group but lost the tiebreaker. “It’s good motivation for them to be very close and have that carrot out in front of them to remind them that we always want to improve,” Backsen said. Though he originally wanted to play football this fall, Hudson Jones, said he has taken on a new appreciation for running, which has also been therapeutic for him. 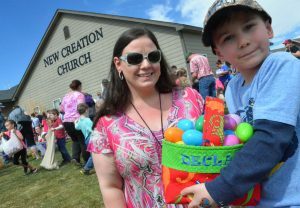 “I’m doing it to get in shape for basketball, and it’s just been a lot of fun,” he said. CMS will wrap up its season Friday at Delta’s Pantherfest. 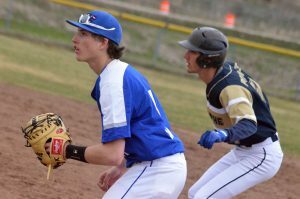 Between Mortenson’s multiple wins the past few weeks — Saturday marked his third first-place honor of the season — and the ongoing success Bulldogs have had as a unit, the fall has whipped by even faster than expected. As a freshman, Emma Jones said she’s learned a great deal from upperclassmen. MCHS has five seniors running this year, including Berkoff and AJ Barber, as well as new Hayden athlete Corrello. Carrouth and Makenna Knez also have been on loan from the Tigers for the past four years and have regularly been leaders while donning the Bulldog blue. 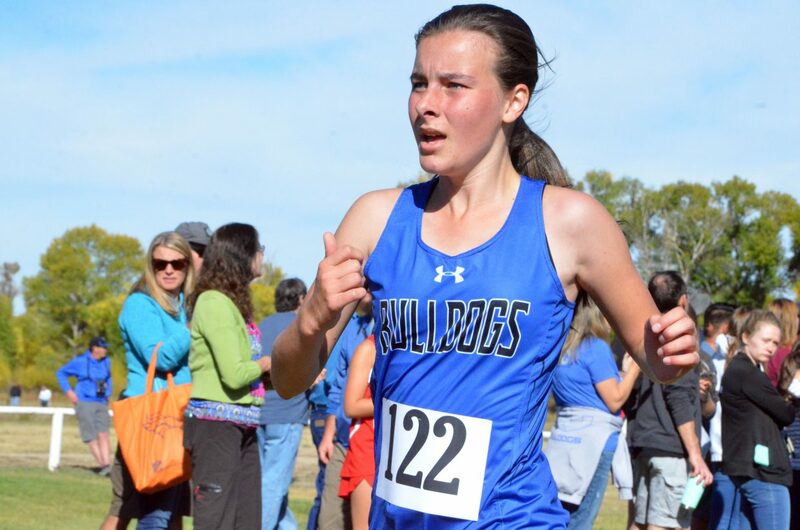 Saturday’s race was their final cross country home event of high school, which Carrouth described as nostalgic. Makenna concurred that the experience of the final MCHS Invite was one of happiness and sadness simultaneously. “It’s kind of sad when you think about it all being over soon, but we all did really well, and I’m so proud of the girls,” she said. 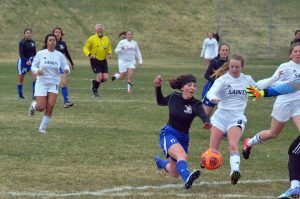 With players finding themselves in new parts of the field Saturday afternoon, the Moffat County High School soccer team had more than a few difficulties against its latest opponents, though if there was one takeaway for their coach it was the benefit of Bulldogs getting new perspectives.